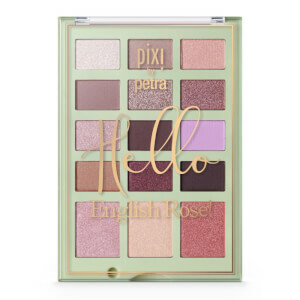 Add depth and dimension to your eyes with the PIXI Eye Reflections Shadow Palette in 'Natural Beauty'. 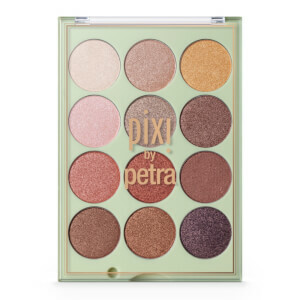 Combining 12 mineral eyeshadows in a spectrum of neutral, complementary hues, each silky shade delivers highly pigmented colour that is easy to blend. 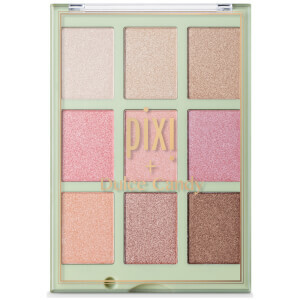 With a selection of creamy glow shades, 3D metallics and matte transitions, the carefully curated eyeshadows allow you to create 3D looks; adding dimension to the eyes for a brightening effect. 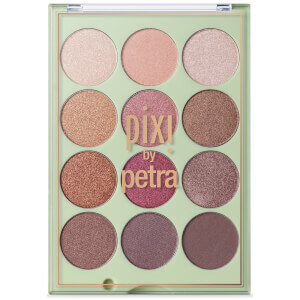 Super silky and blendable, the long-wearing shadows can be used to create subtle daytime looks or daring, night-time lids. Talc, Mica, Caprylic/Capric Triglyceride, Polyisobutene, Octyldodecyl Stearoyl Stearate, Phenoxyethanol, Ethylhexylglycerin, Tocopheryl Acetate. [+/- Iron Oxides (CI 77491, CI 77492), Manganese Violet (CI 77742), Titanium Dioxide (CI 77891), Ultramarines (CI 77007)].